This is a terrific example of the power of New Literacies and how it can be unleashed with technology tools. 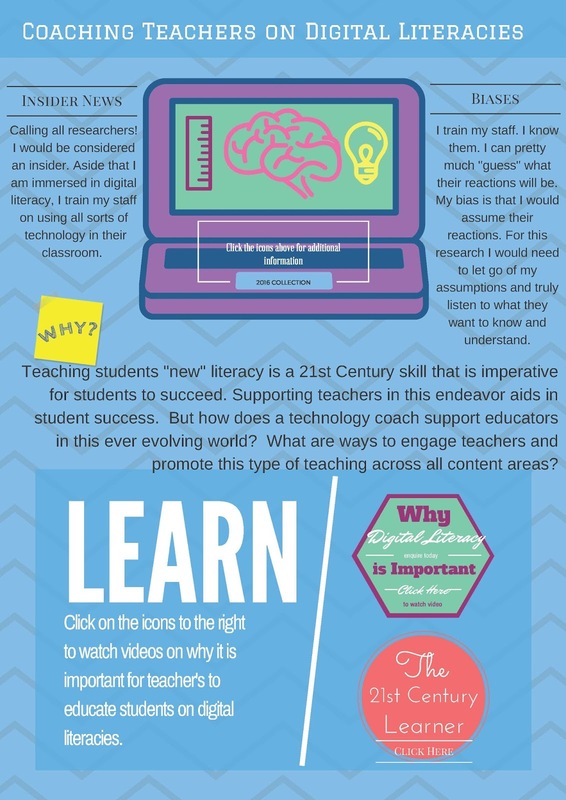 Aimee Bloom, a canidate in the Canisius College Education Technologies Program, produced this interactive post with Canva during EDT 506 - New Literacies. The poster advises technology coaches on how to expose New Literacies to teachers. Click here for the interactive pdf.